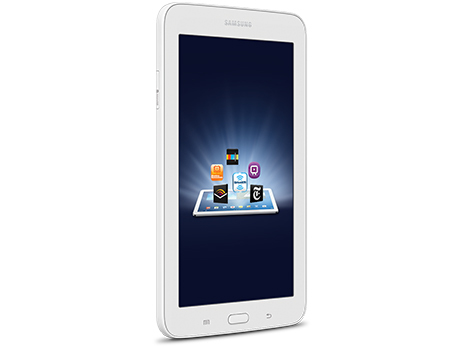 Take entertainment on the go with this Samsung Galaxy Tab 3 7.0 Lite SM-T110NBGAXAR tablet, which features built-in Wi-Fi for easy media streaming and Web browsing. The 7" TN touch screen makes navigation simple and offers crisp visuals. Thin Design. Long Battery Life. 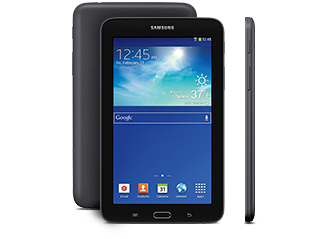 The thin, lightweight design of the Galaxy Tab® 3 Lite makes it easy to tuck away and take with you wherever you go. And with up to 8 hours of battery life and a 1.2GHz Dual Core processor, dependable power is always within reach. Watch a movie, go shopping, play games, listen to music, read the latest novels, even check in on all your Pinterest boards and Facebook. 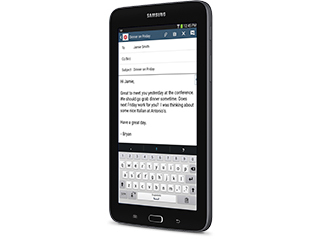 With the Galaxy Tab® 3 Lite, there are endless ways to relax, be entertained and stay informed. Enjoy access to over a million apps and games from the Google Play™ Store. 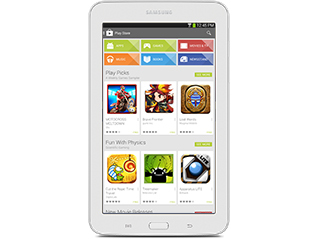 Download any app you’ve purchased to your Galaxy Tab 3 Lite and you’re ready to go. Check out top apps like Skype, Pinterest, Facebook, and fun games like Candy Crush Saga.